Tourism in Lapland is flourishing. Check out the infographic below for more details. 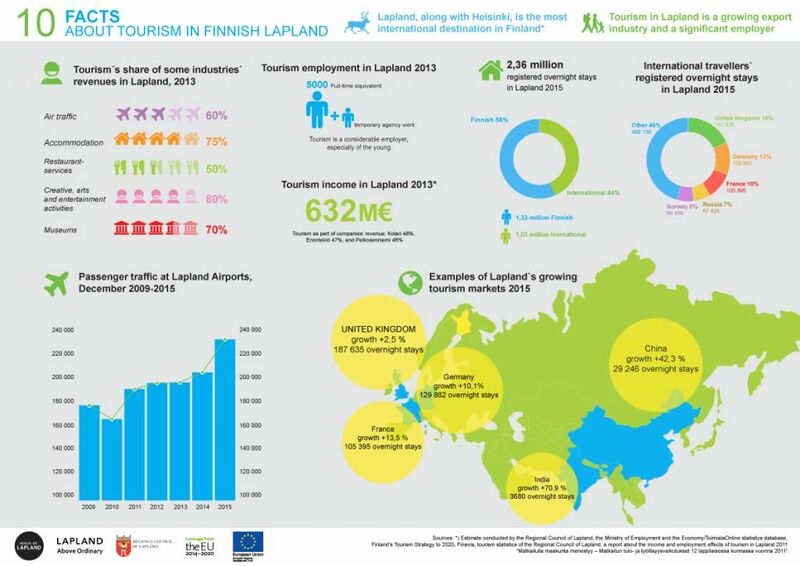 View a full-sized version 10 Facts About Tourism in Lapland 2016 of the infograph here.